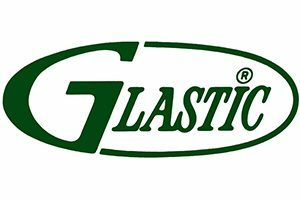 Glastic Corporation and its joint venture partner, Glastic Molding, LLC, are leading suppliers of engineered composite products. The installation or upgrading of mold base or press platen insulation is one of the highest-returning investments a molding operation can make today. Properly insulated molds require less energy to operate. Adequate insulation also facilitates temperature regulation within the tool. 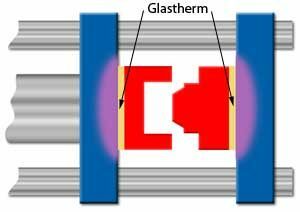 Glastherm® thermal insulating sheet is an excellent choice for mold insulation applications. Glastherm® sheet offers significant advantages when compared with other materials such as mica, asbestos concrete or calcium silicate. Glastherm® sheet is an efficient thermal barrier and is strong to resist the effects of molding pressure and rough handling. It is resistant to oil and water absorption and is completely asbestos-free. Three grades of Glastherm insulating sheet are currently available. All three offer a combination of high physical strength and low thermal conductivity. A general purpose insulating sheet with an economical combination of thermal and physical properties. Recommended for processes where the continuous operating temperature does not exceed 425°F. Grade S is particularly suited to the rubber molding industry. A thermal insulating sheet with superior strength and heat resistance for applications with continuous use temperatures up to 550°F. Designed for plastics and zinc die cast mold requirements. The best press insulating sheet available today. Grade CH has a unique combination of thermal endurance, high hot compressive strength and low thermal conductivity. Designed for applications where polymer-based insulators have not performed in the past. Grade CH performs well at temperatures in the area of 395°F.